Laura Smulders is a Dutch BMX racer who recently released this brand new edit. See what a day in her life is like below! Well, it only took me a million years, but finally the interview I did with Alise Post weeks ago is being posted up. Here we talk about the coveted UCI rainbow jersey, winning Worlds, winning in general and the complicated moments leading up to it. Beatrice: I understand this is your first rainbow jersey, how many World Championships did you compete as Elite before winning in South Carolina? 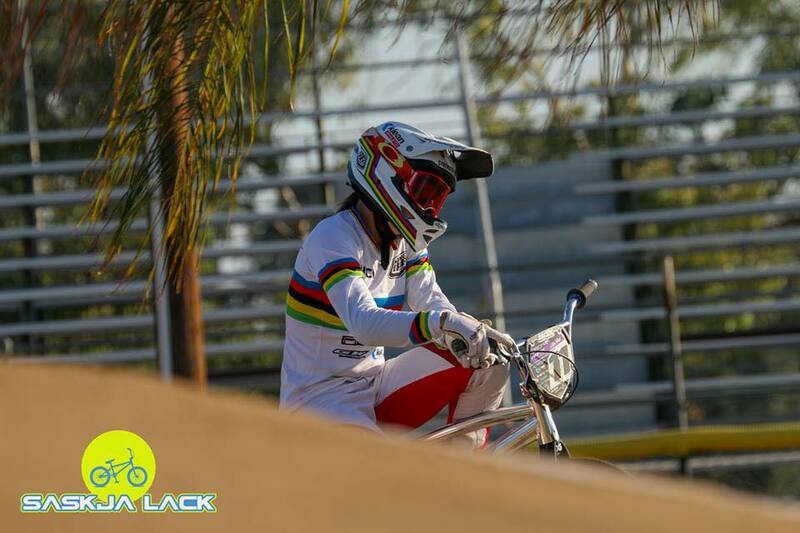 Alise: 2017 marked my 8th year racing in the UCI Women’s Elite class and my 7th time competing in the category at the BMX World Championships... and I guess lucky #7 delivered with a win, FINALLY! I have made the final every single time I have competed there and after 5 podium medals, 2 crashes whilst leading the final (2012 & 2015), my 6th championship medal was finally GOLD and earned me my first Rainbow jersey honors :) I couldn’t be happier! Beatrice: Does having the jersey now take away any of the negative feelings from those super close moments or does it still linger? Alise: Earning a rainbow jersey has always been the bucket list item that needed to be ticked in my career. Being so close so many times I have always felt I had something to prove to myself to be able to put that race together on the day. The sting of all of those laps and close finishes to earn that rainbow jersey are still definitely there, but now getting the opportunity to wear those stripes out on the track, I can honestly say I have a lot more self confidence out there every time I race, and that definitely plays into those situations when things don’t go perfect or the pressure is on. I think that it has helped me believe in myself and stay positive in all situations. Beatrice: So you win Worlds, and you're running up to Sam on the amateur hill, the crowd by the way was bawling their eyes out - thanks Alise. What was the first thing he said to you, or you said to him? Beatrice: After that tear-jerking moment, you're on the podium and I remember the rainbow jersey you had on was pretty big. I remember someone telling me that it's just for show while they sort your real size, but was the one you had to wear for photos at least new - or did you get to keep it? Alise: They have a few sizes on hand and I am pretty sure that’s just your standard Small jersey - I am just that small haha. Yes you get to keep that jersey and that is the one framed up in in our house. Beatrice: What are the rules of owning a rainbow UCI jersey? Can you only wash them with a specific brand of detergent, how many do you get while you're the champion? Are there restrictions on what brands you can have on them, any weird rules you can share? Alise: No rules on how many you can have - I guess that part is up to your sponsors! There are weird rules about the sizing and logo placements and all sorts of stuff though, and I would actually be fined if I didn’t wear it in any UCI event as well. So there’s definitely stipulations with it, but it’s all worth it to get to wear those coveted stripes. Beatrice: What's the jersey material like, anything you've had before? Beatrice: You're a World Champion, silver Olympic medallist, multiple pro title holder... what is next? Is it even possible to stay hungry and motivated at this point? Do you have anymore awards you have to match up with Sam in the trophy room? Alise: My side of the trophy room is definitely lacking the number of those framed rainbow jerseys! so I’ll definitely need to keep working on that. To beat him out I think I’d have to aim for that Gold in 2020 - because other than that, he’s seen and done it all himself as well. 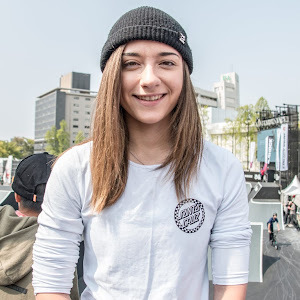 The thrill of the chase and pushing my personal limits is always the motivation for me, so until I “can’t be beat” I don’t think I’ll ever lack motivation come race day… and since anything can happen in BMX and the women’s side of the sport just keeps progressing, I think I’ll always have some work to do! It’s a pretty common but true saying that it’s easy to get to the top, but staying there is whole other ballgame. Beatrice: With so many HUGE accomplishments, it's hard to believe (and shocking) you started out the year with "next to no sponsors", and I think this is something that a lot of kids don't realise - there's a lot of sweat and tears behind the scenes. Are you able to share what it was like going through a period where your future was uncertain? I would imagine you'd have sponsors knocking down your door! Alise: After my most successful year with an Olympic Medal in 2016 and having had such a solid program with Redline for so long, it was hard to believe we wouldn’t be continuing our partnership. I think both myself and a lot of other brands felt the same way and simply didn’t even reach out. I think Sam’s accident and all of the other things going on in my life played a factor in my hustle to work to find something as well. The stars just weren’t aligning at that point of time and having to look for things so late in the game when budgets were already sorted was hard, so I just made the commitment to myself that if I had to go the whole year with the few co-sponsors I had on board and nothing new, I would do that because I wasn’t going to sell myself short to go out and take unnecessary risks when I had so much other stuff to worry about on the home front. Thankfully, as things steadied out at home I was able to get in touch with a few key people that had a lot of faith in me as a rider and was able to put together an amazing group of sponsors in GW Bikes, Promax Components, Klean Athlete Nutritional supplements, Troy Lee Designs Gear, USA Cycling support, broski headphones, ODI Grips, KMC Chains, Onyx Racing hubs, Oakley eyewear, Box components, 327 designs plate graphics, and Steve Diamond Elements photography + USA BMX always making me look pro and helping market myself well. Getting those ducks in a row really helped me start backing myself again and my riding got better from there throughout the year, and I got to work with people I was proud to be associated with. It was more work than I’d ever had to put into that side before, but the final program was so worth it and I think it’s something people across the sport could learn from. There’s a lack of financial opportunity out there at the moment and so there needs to be a restructure where consumers are spending the money to support brands and pros they like, and the pros are promoting those brands well without selling themselves short. 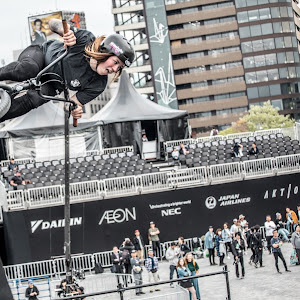 Beatrice: What’s your thoughts on there being no masters class for women at the World Championships and thoughts on how ex pro’s are grouped with challengers. Alise: It does stink about there being no masters class for women, but to be honest, I completely understand why there isn’t. So many women move on from their racing careers after retiring from elite because they have children and things that keep them from competing at the same level as men for so long. I think opting into the challenge classes at that point is a good option, and I don’t see a problem with them grouping master’s in with the top challenge riders or having their own time to shine. The “elite show” needs to stick to being the cream of the crop in the sport for spectators coming to watch. Beatrice: What do you think about some of the ladies transitioning to track, do you see yourself doing the same in the future? Beatrice: Lastly, other than getting married, any fun trips or plans while on vacation? That's all the questions I have, just wanted to also say congrats to you and Sam, best of luck next month on your special day! 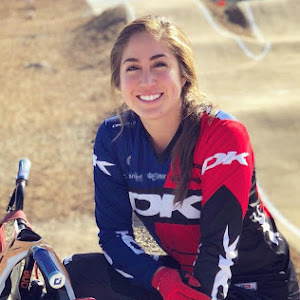 It's always an exciting day when a female rider is able to pick up a major sponsor. Here's what Nikita Ducarroz had to say about her new partnership. 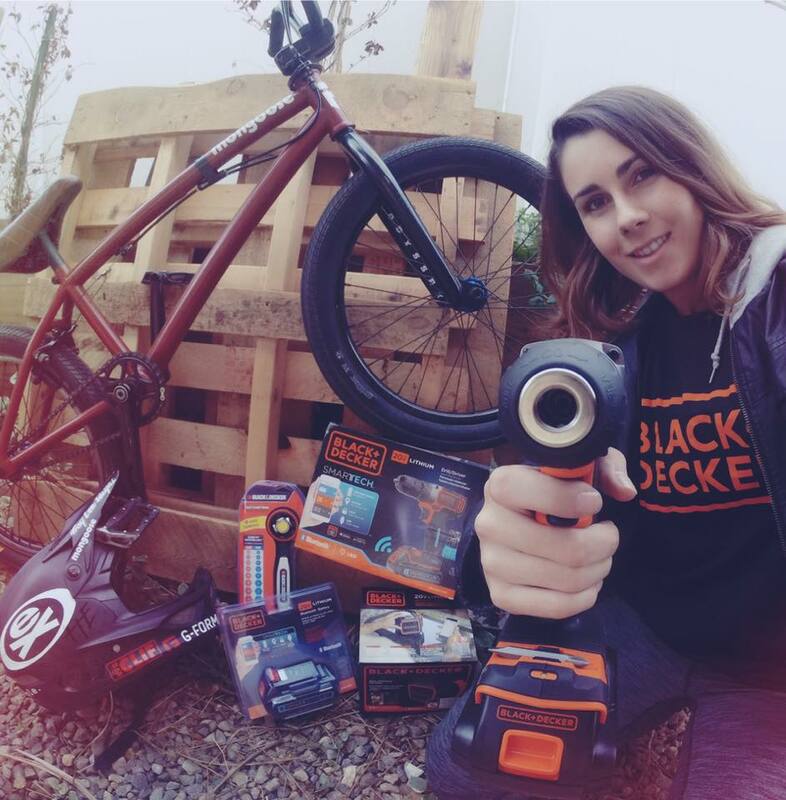 "A few weeks ago I signed a deal with Extreme and their partner sponsor, Black and Decker. It’s pretty unreal to be able to partner with such an iconic brand. I’m super excited to have jumped on board and can’t wait to see what’s to come in 2018. 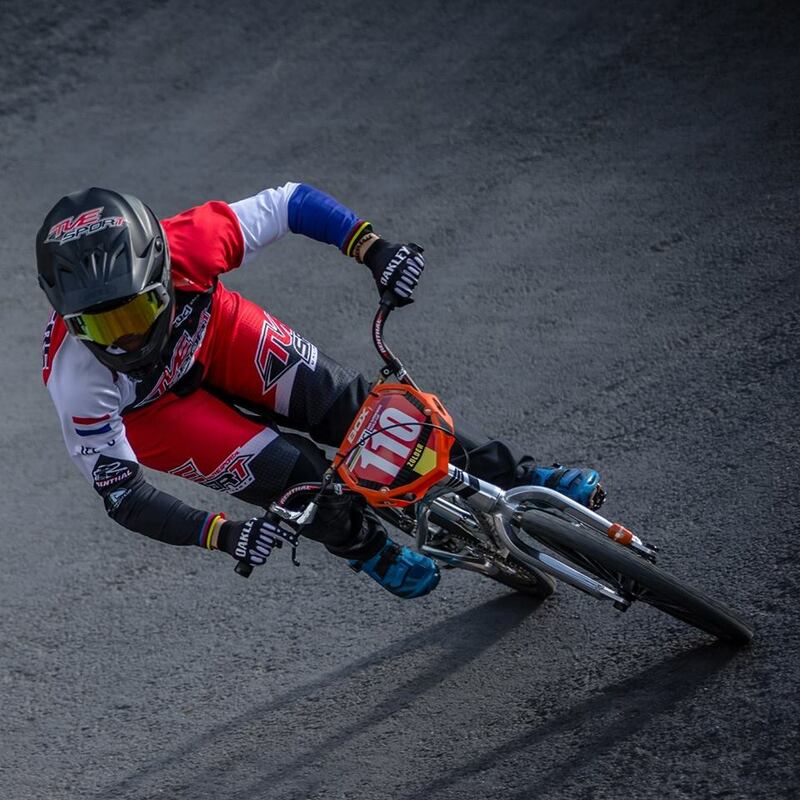 I think it’s great when we (riders) are able to go beyond the BMX industry, and showcase our amazing “little” sport to a larger audience that may not have been exposed to it otherwise. In addition, I’m pretty excited to play with all the crazy gadgets that they make, vacuum my car a few times, and see what kind of things I can build!"